Advanced Word to Pdf Converter is a powerful document to pdf converter, the converter allows you to convert hundreds of windows printable documents, such as word (doc,docx,docm), txt, rtf to searchable pdf (as default format, as image format)document.The converter can be used as a PDF writer or PDF creator from multiple applications as soon as it supports printing. ...... Its easy-to-use interface only allows you to create PDF files by simply click the "Convert" button. It accurately retains the layout of the original document file. 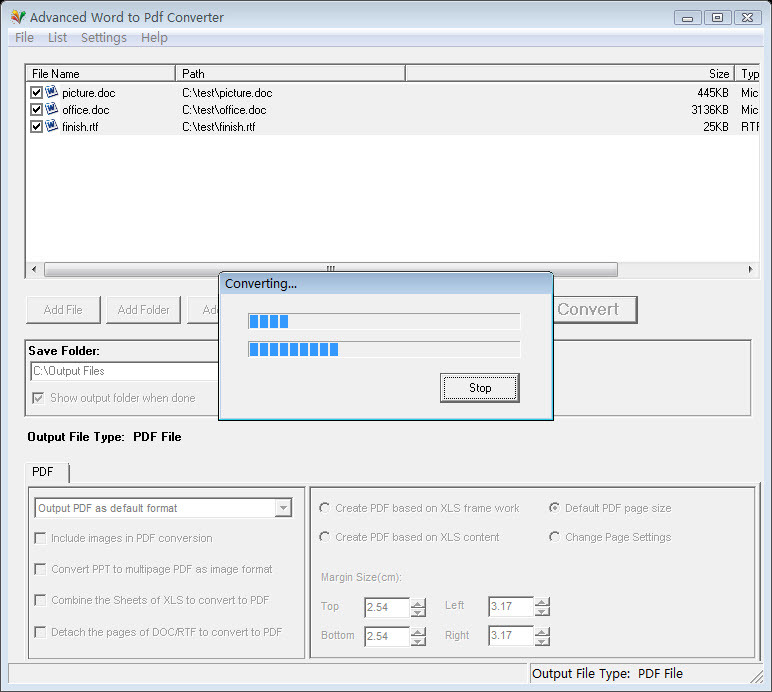 Batch Convert Word(doc,docm,docx),rtf,txt to PDF. Output PDF has two formats: default format, image format. Qweas is providing links to Advanced Word to Pdf Converter 6.1 as a courtesy, and makes no representations regarding Advanced Word to Pdf Converter or any other applications or any information related thereto. Any questions, complaints or claims regarding this application Advanced Word to Pdf Converter 6.1 must be directed to the appropriate software vendor. You may click the publisher link of Advanced Word to Pdf Converter on the top of this page to get more details about the vendor.